The Hongan-ji Temple (lit. "Temple of the Primal Vow") was founded in 1321 as the head temple of the Jōdō-shinshū (浄土真宗, "True Pure Land") sect of Buddhism. The temple was built next to the mausoleum of Shinran (1173-1262), founder of the sect. 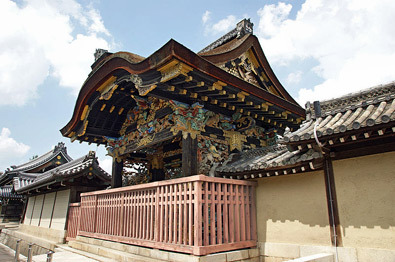 The Hongan-ji gained power and importance in the 15th century when Rennyo (1415-1499) became its 8th Monshu (head-priest). The Tendai sect, based on Mount Hiei-zan, saw this expansion as a threat and attacked the Hongan-ji three times with their army of warrior monks. 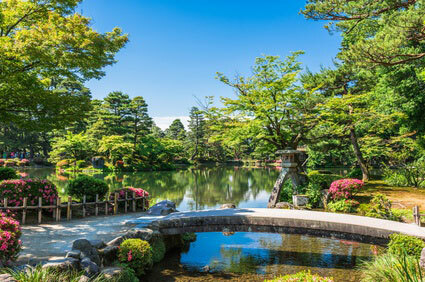 Rennyo fled to Yoshizaki in Echizen Province (modern Fukui prefecture), where he established a new temple. He attracted a significant number of followers among peasants and farmers, who formed the Ikkō-ikki ("single-minded leagues"). In 1488, despite Rennyo's pacific teachings, his followers launched violent uprisings against their feudal rulers. 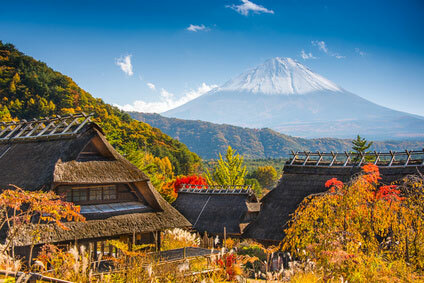 In Kaga Province (Shikoku), the peasants even managed to overthrow their samurai lords and rule themselves independently for a while - the first successful commoner revolution in Japanese history. In 1496, the Ikkō-ikki mob built a fortress in Naniwa (present-day Ōsaka), the Ishiyama Hongan-ji. 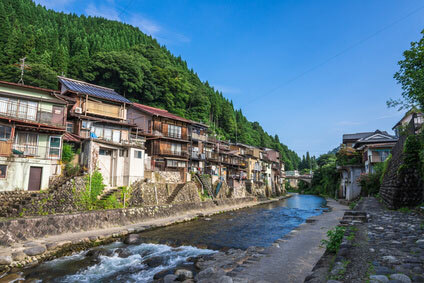 Rennyo retired near the fortress, on a "big slope" (Ōzaka in Japanese), which would give the modern city its name. Warlord Oda Nobunaga decided to put an end to the threat posed by the Ikkō-ikki. In 1576, he laid siege to the Hongan-ji fortress. 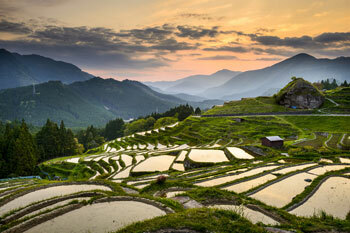 The warrior-monks managed to hold their position for nearly five years, making it the longest siege in Japanese history. In August 1580, the Ikkō-ikki surrendered and the whole temple complex was burnt to the ground. 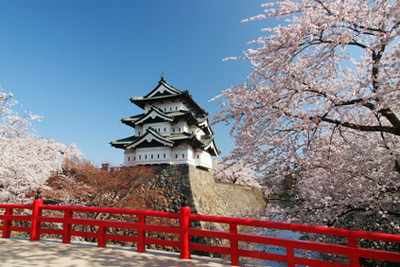 Three years later, Toyotomi Hideyoshi began the construction of Osaka Castle on the same site. The Jōdō-shin school is a very popular form of Buddhism, traditionally associated with the masses. Its followers only have to cite the name of Amida Buddha to be saved from the circle of reincarnation. This is a step further in the simplification started by the Jōdō sect (Pure Land). 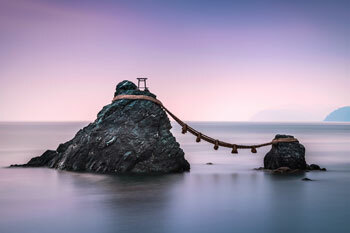 Both Jōdō and Jōdō-shin Buddhism have by far the largest number of followers in Japan since their creation, as it is very easy to understand and practice, contrarily to Esoteric Buddhism (Shingon & Tendai sects) or the strict discipline of Zen Buddhism (Rinzai & Sōtō sects). The Jōdō-shin sect having amassed a colossal fortune and power, Tokugawa Ieyasu decided to split the sect into two branches to weaken its influence. The original Hongan-ji was renamed Nishi (or "West") Hongan-ji. 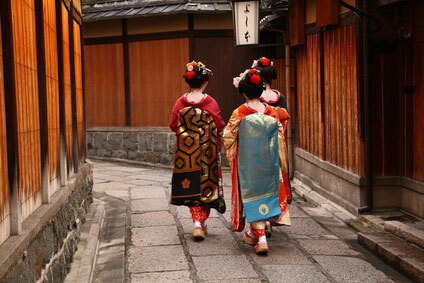 A new temple was founded to become the head of the second branch, named Higashi (or "East") Hongan-ji. 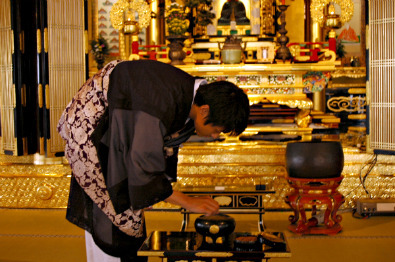 The Nishi Hongan-ji branch now has over 10,000 temples (including 200 outside Japan) and 12 million followers. The Higashi branch claims 5.5 million members. The Nishi-Hongan-ji was built in 1591 by Toyotomi Hideyoshi after the destruction of the former head temple, the Ishiyama Hongan-ji, in Ōsaka. Its imposing architecture is characteristic of the popular Jōdō-shin sect, both as a way to impress believers and thanks to the immense wealth their number bring. The two main buildings are the Goei-dō (護衛堂 ; Founder's Hall), built in 1636 in honour to Shinran, and the Amida-dō Hall, which dates from 1760. The Daisho-in (大書院 ; Great Scripture Hall) is a vast tatami room with colourful painted wooden sculptures and gilded altars. The atmosphere is relaxing and grandiose at the same time. It shouldn't be missed. 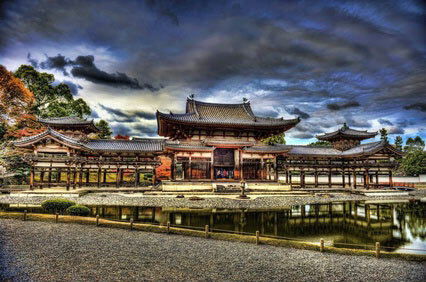 The Nishi Hongan-ji Temple was added to the UNESCO World Heritage list in 1994. The temple is open daily from 5:30 am to 5:30 pm (till 5:00 pm from November to February, and 6:00 pm in May and August). Admission is free. Founded in 1602 as the "rival" branch of the Nishi Hongan-ji, the Higashi Hongan-ji is not only a temple but also the Mausoleum of Shinran, founder of Jōdō-Shin Buddhism. 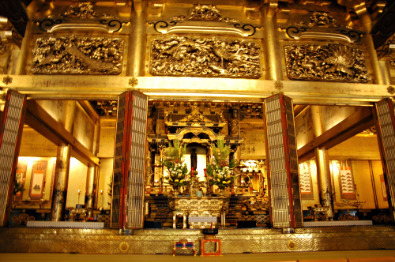 Bigger than its western counterpart, the Higashi-Hongan-ji is also more austere in its interior decoration (except for the flamboyant gilded altar). This might be due to the fact that it burnt down several times in the history and its current buildings only date from 1895. 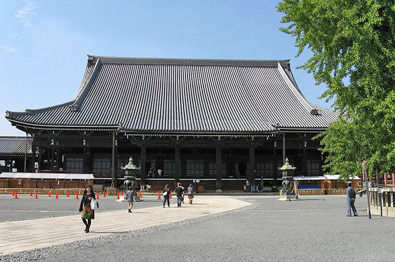 Nevertheless the Goei-dō (護衛堂 ; Founder's Hall) is one of the largest wooden structures in the world. When walking between the Founder's Hall and Amida-dō Hall, take note of the glass box containing a kezuna (毛綱), a rope made of human hair. When building the Goei-dō, difficulties arose as to how to lift the heavy timbers. A shortage in comventional ropes resulted in female devotees promptly cutting off their hair to weave massive ropes. 53 such ropes were made. The largest was 110 metres long, with a circumference of 40 cm and weighed no less than 1,000 kg. The temple is open daily from 5:50 am to 5:30 pm (6:20 am to 4:30 pm from November to February). Admission is free. The Higashi-Honganji is located 300 metres north of Kyōto Station. Just follow the Karasuma-dōri Avenue. The Nishi-Honganji is parallel to it, 400 metres to the west.